Arginine supports nitric oxide formation, important for healthy dilation of blood vessels, circulation, and blood flow. In a prospective, double blind trial, l-arginine supplementation supported healthy endothelial function in blood vessels of male volunteers. In other studies, l-arginine promoted healthy platelet function and enhanced exercise tolerance. In men with low urinary nitric oxide values, l-arginine may support healthy sexual function. Some but not all research involving l-arginine supplementation for sperm motility has produced positive results. Arginine plays a role in the synthesis of hormones such as insulin and growth hormone, and has demonstrated the potential to support glucose metabolism and growth hormone production respectively. Because of its effect on nitric oxide production, l-arginine is theoretically best avoided by individuals with migraines, depression, autoimmune disorders, and kidney or liver disease. Arginine is contra-indicated for individuals with the herpes virus. 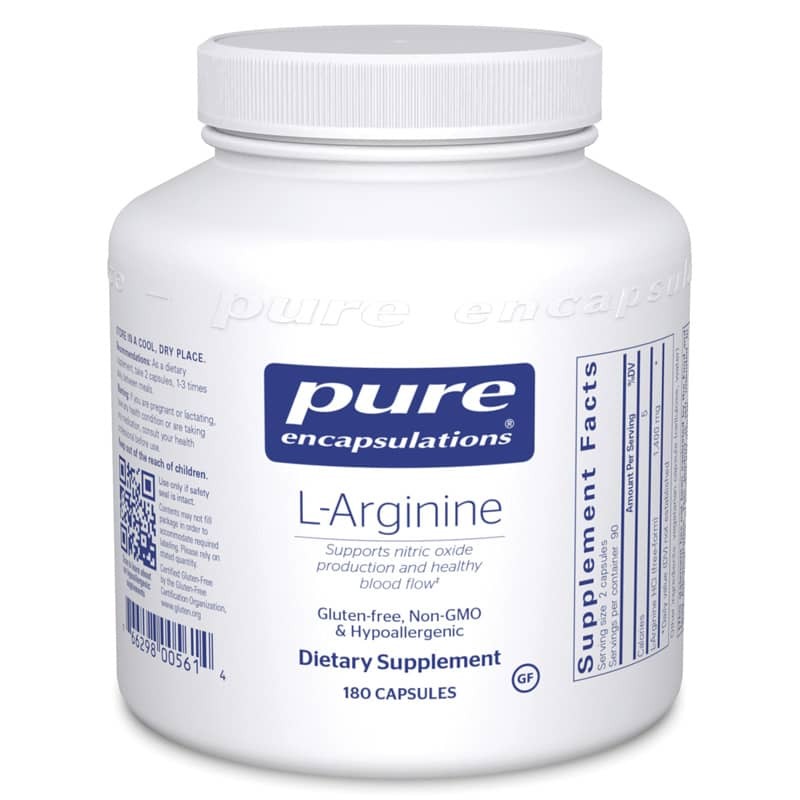 l-Arginine is a versatile amino acid precursor of nitric oxide associated with promoting cardiovascular health, immune support, sexual function, and memory. Adults: As a dietary supplement, take 2 capsules , 1 to 3 times daily, between meals. I always buy supplements from here. Great customer service and good prices!